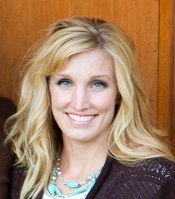 Dr. Miller co-founded the company in 2000 and has served full-time since 2011. 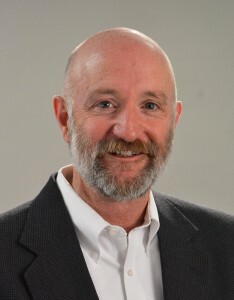 Previously, Dr. Miller’s research and teaching in engineering and physics centered on semiconductor device design, fabrication, and applications, with contributions in quantum nanostructures for optical and electrical devices, vacuum electronics, and terahertz technologies. Mr. Diroll leads the new technology and product development for producing mid and long wave Infrared LED sensors. He works with the CEO to develop business with key potential clients and manage NRE projects while maintaining relationships with the foundry and other suppliers. He has been recognized in the industry with many awards including Four President’s Awards for New Technology, Operational Excellence Award and BIQ Award for Excellence in New Product Development and Market Leading Technology. Ms. Clarke is the director of program management. Arden has a passion for creating strong long lasting relationships with customers while integrating innovative and rewarding projects. She has a successful history in project management including managing games information systems for the 2002 Winter Olympics. Areas of expertise encompass project management, resource deployment, coordinating and training over 500 volunteers. Arden also is an event management consultant and has a background in human resources. She brings enthusiasm, strategic planning and a guided force to the team at Terahertz. She graduated from the University of Utah with degrees in Business Management and Parks Recreation and Tourism. Angela is Director of Business Development and also supports Marketing and Sales. Angela has more than 15 years business experience and has as special focus on early stage technology start ups. In addition to an MBA in Sustainability, Angela has been trained in the ICorps method of technology commercialization. Angela is especially passionate about technologies that have significant environmental and social impacts. Ms. Berry has extensive experience in Communications, PR, Business Development, Sales, and Marketing – stemming from her work at The Blackstone Group, Franklin Covey, and Plus One Health Management in New York City. 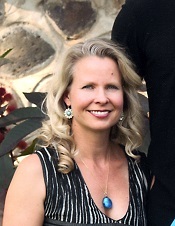 She has been with Terahertz Device Corporation since 2015 and is actively involved in her community through volunteering at Tracy Aviary, Habitat for Humanity, local PTA’s and Community Councils. She loves the outdoors and you will frequently see her on various hiking/skiing trails along the Wasatch Mountains or scuba diving in the Florida Keys. MaryPat has extensive experience in marketing and small business since 1989. She has owned retail businesses, restaurants and consulting practices and has been extremely involved in her community through local Chamber of Commerces, National Association of Women Business Owners (NAWBO), Shared Vision Network, Jaycees, and other networking and professional development organizations.